In 1988 the Museum of Broadcasting held an event celebrating the career of Agnes Nixon, the pioneering writer and producer known as the queen of the modern soap opera. During remarks that the creator of One Life to Live and All My Children delivered that evening, she showered praise on two actresses whom she considered to be her most treasured stars: the mega-watt Susan Lucci, of All My Children fame, and Ellen Holly, who for 17 years played the role of Carla Benari on One Life to Live. Of all the tapes ABC didn't have, the ones I most regret are of the Carla Benari story — a story I had begun to fear might not be told because I would not do it unless we could get the right black actress to play the part. We were only a few weeks away from the casting deadline, and I was getting worried. Then on Sunday I opened the Times to the Arts and Leisure section, and saw a beautiful face looking at me … I knew at once Ellen was our Carla if she'd agree to play the part, which she did. And the rest, as they say, is history. Holly, who had been dropped from One Life to Live in 1985, did not attend that night's celebration but received a 30-page transcript of the speech afterward in the mail. "What she did not tell the museum audience, of course, is that I had been made to work 17 years for what Susan made in three months," she dryly told The Root from her condo in Westchester, N.Y. Today Holly, 81, the first African American to play a central role in the history of daytime television, claims that there were frequent slights surrounding her experience, though at the time she kept her head down. "I was like an experiment in a petri dish, and I knew that the future of other black people finding roles on the soaps would depend, to a degree, on how my situation seemed to be working out," she said. "On the face of things it looked like I was a huge star having a grand old time. I didn't argue with that public image because I knew it would be helpful to people who, hopefully, would come after me." Nearly three decades later, however, Holly wants to tell the rest of her story. With her 1996 book, One Life: The Autobiography of an African-American Actress, now out of print, this year she launched the website BlackStarImploding.com to expose the trials of being a television "first." In an interview with The Root, she shared her behind-the-scenes stories, what happened after life on the small screen and her thoughts on the current state of black women in Hollywood. Holly received the phone call that changed her life in 1968. At the time she was a distinguished stage actress who had performed on Broadway opposite Jack Lemmon and James Earl Jones, and who headlined the New York Shakespeare Festival as Desdemona in Othello, Kate in The Taming of the Shrew and Lady Macbeth. But after 16 years in the theater world, she wanted a change. "Theater is totally unpredictable," she explained. "You can open in a play on Broadway that you think is going to be a huge hit, and it closes within mere weeks. As a performer, you have to be able to work on camera because that's where you can make money." Unfortunately, this posed a problem for Holly. Because her light skin read as "white" in photographs, she was largely uncastable where a camera was concerned. "The industry looked at me and said, 'We can't cast you opposite a white man because you're black. We can't cast you opposite a black man because you photograph like white and it would look like an interracial couple.' "
But when ABC called, asking if she was interested in auditioning for a new soap opera called One Life to Live, the role seemed tailor-made for her. 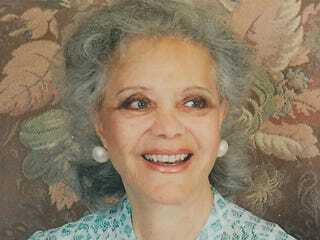 The character of Carla Benari was a black actress who was unable to get work in black roles. In Carla's hunger to become a star, she passed for white — and lived to regret it. Holly got the part. "When I first got the role, Agnes Nixon and I sat down for hours, and we talked endlessly about barriers that had been difficult to overcome for actors who looked like me," she said. "All of that was written into the story, and I felt I was illuminating some of those barriers." While Holly was not the first African American to play a recurring role on daytime television — before her, actress Micki Grant had played a secretary on Another World — she was the first black soap star. In Carla's riveting storyline, she was a mystery woman who'd come to town and was immediately pursued by two gorgeous men, one black and one white. "I'd go into a day's work and feel like I'd died and gone to heaven," Holly remembers with a hearty laugh. The breakthrough role made a splash in the media, garnering unheard-of publicity for the new soap opera. But perhaps the most influential people who paid heed were black television viewers, who followed the show in droves. African Americans were approximately 12 percent of the population in the late '60s, but they accounted for 25 percent of One Life to Live viewers. The ratings were so dramatic that the network would eventually add black storylines to its other daytime shows to maintain their new audience. "When Lillian Hayman, the actress who played my mother, and I would go to events, or even be stopped on the street by people, we would find ourselves absolutely lionized," said Holly. "We were amazed at how many black people were watching the show. And they weren't necessarily housewives staying at home. They were professional people who would set aside an hour at work to watch it, and college students who would schedule classes around it." For the first two years, Holly had a fabulous time on set. Then, she says, almost overnight, things took a different turn. The first thing to change was her storyline. While Holly's white counterparts would go on to have careers that spanned multiple decades — constantly getting married and divorced, amid other endless dramas — Carla's plot suddenly fizzled out. "I was paired with an older, balding character actor in a platonic relationship, and he was a congressman who spent most of his time in Washington," she said. "Lillian and I were turned into satellites who revolved around the white characters. We would sit at the kitchen table and drink coffee and talk about the white storylines so that people could be kept up with them." A series of smaller incidents made Holly begin to suspect that she was viewed differently from the show's white performers, such as being positioned in the very back of a cast photo (Hayman wasn't even called to the session) and having her dressing room taken away to make room for a new actress who was starting on the show. Eight years into the series, when it was expanded from a half hour to 45 minutes long, the cast began renegotiating their contracts in hushed conversations. That's when Holly deduced that she was getting paid on a vastly different scale. At the time earning a yearly salary in the $20,000-to-$30,000 range, on terms that had repeatedly been stressed to her as nonnegotiable, she raised the issue with the network lawyer. "She said to me, 'You shouldn't expect the same money as everybody else. You should be grateful you have the job at all. Need I remind you how few jobs there are out there for black actresses?' "
Despite the mistreatment, Holly stayed, with the acknowledgment that, for her, the show was the only game in town. "If I'd had a husband to pick up the slack at some point in time, I might have left and hoped that I could latch onto something different," she said. "But because I was my sole provider, I had to keep the one steady job I had ever had on camera." That steady job came to an end when her contract expired and was not renewed. At age 54, she struggled to find work aside from a two-year stint playing a judge on Guiding Light. Eventually she "faced reality" and took a civil service exam, which allowed her to work as a clerk at her local library. She kept the unassuming job until her retirement in 1993. Looking back on her soap career, Holly says she now has it figured out. "I feel as if I was hired as a temporary gimmick to rocket-boost a payload of white stars into orbit," she said. "Basically, that's what I was used as. And that's how it worked out." On the landscape for black actresses today, Holly says opportunity has not progressed as much as she'd hoped. "There's an enormous amount of tremendous black talent in Hollywood that goes completely unused. There is so very little work of genuine quality," she said matter-of-factly. "Even the people whom we consider to have climbed to the top — the Angela Bassets, the Alfre Woodards, the Queen Latifahs, the Halle Berrys — how much is there for them to do? They work from time to time, but certainly not with the consistency of white stars far less gifted than they are." Holly is even more discomfited by the explosion of reality TV, one of the most prominent platforms for black women on the small screen. But her misgivings have nothing to do with the representation of black women on series such as The Real Housewives of Atlanta and Basketball Wives. "Reality shows that feature black people share the same things in common with reality shows that feature Italians or any other kind of people," she said. "My problem with reality shows is the absence of performers with a craft and writers who write scripts. They achieve drama on the most basic level of just getting into petty quarrels and acting bitchy and cooking up phony conflict." Her preference for television done the old-fashioned way may partially be a product of having started out in the theater. "The theater world is very idealistic — everybody is about learning your craft and becoming a brilliant actor," said Holly, with a soft laugh, then becoming more sober when reflecting on her past. "I thought of acting in terms of perfecting a skill. That was the whole objective when I was young, to become as brilliant an actress as I possibly could."